It's not too late to take advantage of after Christmas sales. While the big stores may have already sold out of all the holiday goods, many small stores still have great sales on unique holiday decor. I found today's 365 project pic at a small boutique store in Tampa. 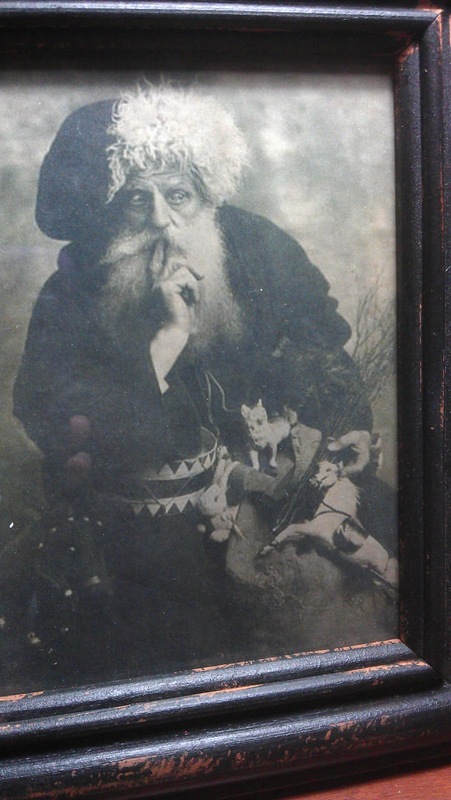 This cool framed vintage Santa photo was only $4.00. I think it's just so interesting, and at that price, I had to have it!